Why WordPress 2017 is better for ranking sites than WordPress 2016? With over 25% of websites powered by WordPress, WordPress has started to dominate the website development market. I personally believe, that it is one of the most popular content management systems and also one of best options when it comes to designing a Search Engine Optimized website. Since its release in 2003, WordPress has been continuously updating itself to become better and better. The latest WordPress 2017 update is no exception to this! Let’s march towards SSL Implementation! Matt Mullenweg, the co-founder of the WordPress Foundation, had previously announced in 2017 that WordPress 2017 is going to encourage HTTPS for all their sites. And that is what we have seen been updated in 2017 too. 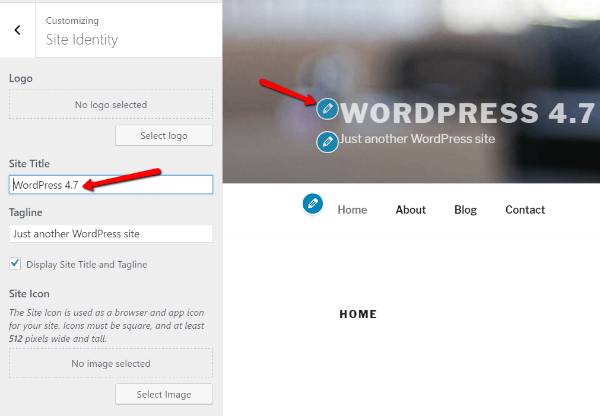 WordPress 2017 promotes hosting partners to provide a SSL certificate by default when people host their websites and install WordPress onto them. In fact, the security features such as API Authentication will only be enabled for SSL secure sites moving forward in 2017 update. Hang on, let me tell you what exactly SSL is before we move forward. A browser/server requests the web server to identify itself. The web server sends a copy of its SSL certificate which the client validates. The client then sends a digitally signed acknowledgement and a secure connection is established. The websites with SSL certificates use HTTPS instead of standard HTTP as a way of communication. Regardless of this technical working, you must be thinking how will SSL impact SEO ranking? Well, Google has been aggressively working towards establishing a secure web which means all sites in should be served over HTTPS. Google made it clear last year that sites without SSL will be deemed unsafe with a red cross mark in address bar. This would definitely make your sites rank poorly in the organic results. However, if you have an HTTPS certificate for your site, you would get a slight ranking boost and who knows, it might work wonders to increase your traffic and sales! WordPress 2017 comes with a new theme dubbed “Twenty Seventeen” with its spicy new feature – video headers. Up till now, you must have paid for a premium WordPress theme or might have done heavy customizations to the existing theme to add video headers. But now, setting up your site using WordPress, will allow you to upload your own videos in Mp4 format, or embed YouTube/Vimeo videos by simply entering their URL. The video will play automatically and will loop by default. Apart from the videos, you can add a header image as usual that’ll be used as the video buffers. How will this impact your ranking? Well, inclusion of such video headers goes a long way in improving the rankings of a website. This is because videos offer a more immersive experience and the users are likely to get more engaged to a website page with videos. Infact, 2017 is proving a change of era as the market trends suggest videos will account for 69% of all internet traffic. Nonetheless, a website page has 53% chance of appearing on the first page of the Google results if it sports embedded videos. Another factor why WordPress 2017 is a better option for ranking is that its new update is much more mobile friendly. As mobile becomes the future of the internet, it becomes imperative that you site is accessible and responsive for a mobile. WordPress 4.7 doesn’t disappoint in this sense. Its Twenty Seventeen theme uses a simple, clean and minimalist design to give richer experience to end users. The theme is compatible across all devices be it desktop, tablet or any smartphone. WordPress 4.7 gives a richer and soothing scrolling experience to those who use a thumb instead of a mouse to access the site (much like me (: ). It meets the minimalist touch standards setup by Google material design. This means a simple design with clear calls to actions, minimalist text and larger icons making it great for the mobile experiences. How will it impact your ranking? According to web analytics firm Statcounter, mobile and tablet browsing has risen to 51.3% of all web usage in comparison to desktop’s 48.7%. So, having a mobile friendly site will get you more traffic and leads in this age. In addition, Google also considers mobile site for ranking purposes. You must have raised your brow when in November 2016, Google announced that they will be rolling out a mobile-first index based on considering factors like the percentage of text readable without zooming, tapping, etc. Enhanced Media Support comes as a bliss! The WordPress 2017 enhances support for visual content like videos, gifs and animations and other media. The trend of using visual content over written has gained popularity in the past few years. As I mentioned above, that users are more likely to engage with infographics and videos rather than just content. This helps to boost site visibility and increases conversion rates. 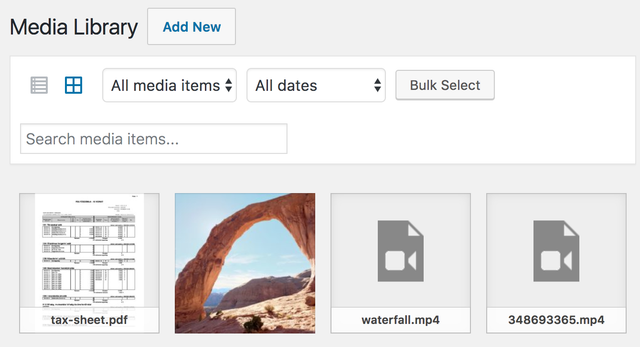 Now you can search images by their filenames in the WordPress Media Library. This wasn’t possible in WordPress 2016. You can manage your photos and graphics in a better way now. Another glaring issue with the previous WordPress versions, has finally been addressed in WordPress 4.7. You can have a thumbnail preview of the PDF files you upload. The first page of your PDF becomes its thumbnail when you view your files in the Library. There is also possibility for preview of PDFs in attachments of your webpages. Develop your sites yourself…Duhh..Don’t believe me? The new customizer features have let the beginners turn into site developers. Though, a lot of people have criticized CMS platforms for degrading the importance of website developers, I think it’s always good to welcome the easy technology. The WordPress 4.7+ versions have several new features that affect On Page SEO of your site. WordPress now allows developers to provide starter content with their WordPress themes. Starter content helps configuring the theme as it looks in a demo. This feature, however, is currently only available for fresh installs. Site building process has got much easier as you can now create new pages and configure main menu directly within the Theme Customizer. In WordPress 4.7, while live previewing your website, you can see visible edit icons next to the parts of the site that can be customized directly. This has made editing a whole lot easier than in the previous WordPress versions. You can also make CSS changes while live previewing, and you can instantly see those changes. The CSS styling will not be lost even when you update the site in future. An impressive website design and UX ensures greater ranking in Google search pages. You know very well, that Google takes into consideration the bounce rate and time spent on a site for ranking purposes. And this is directly linked to having a great website design be it a business website, an e-commerce site or simply a blog. WordPress 4.7+ is the CMS platform that is exponentially growing to a better and better version. I highly recommend trying it once for its 2017 awesome features. Well, if you already have, share your thoughts in the comments section below. In case you have any related queries, I’ll be happy to answer them too.